TAN Yiren’s fitness repute is undeniable. Not only was the 25-year-old a member of the Naval Diving Unit during National Service, he also played coach to the NUS Kent Ridge Steppers Cheerleading Team from 2016 to 2017. Under his guidance, the team clinched the season’s Champion Title. 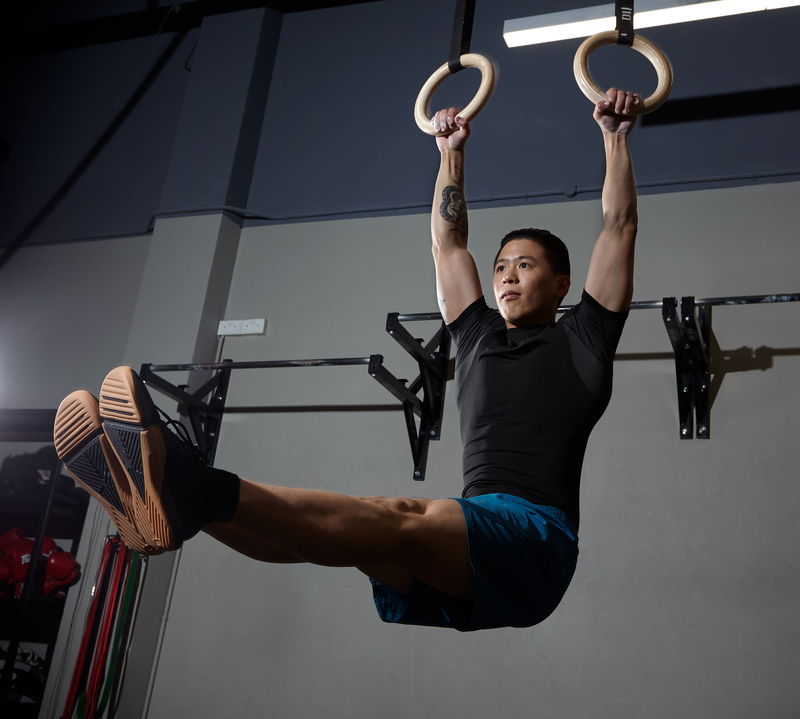 With all the gruelling and rigorous training in NDU as well as his coaching experience with the NUS cheerleading team, Tan now brings all that he has learned to his latest gig – he’s a fitness instructor with TripleFit, located at Millenia Walk. We sit down with Tan to to pick his brains about his journey. So, first of all, what made you decide to work as a fitness instructor? After my time with NDU in National Service, a friend approached me to coach his cheerleading team in NUS. I had no coaching background prior to this but I decided to give it a shot. That was where I found my passion for coaching. I imagine teamwork is highly essential when it comes to cheerleading. Is that also something you carried over from your NDU experience to your personality and the way you teach at TripleFit? Yes. In fact, I would say it’s the most important thing I brought over. It really was what got me through my days in NDU. I think you’ve heard of this thing called Hell Week? Well, it’s supposed to be Team Building Week and I guess the name is fitting because without having proper teamwork, it’s near impossible to get through it. So from the ordeal, I know being a team player is absolutely necessary in everything you do. I’ve applied this mindset to everything from sports to work as well. What other traits did you carry over from your past experiences to TripleFit? Being firm and assertive. You have to be really confident about yourself and be firm in your instructions. If I were more of a timid person, I may not instruct well, and it’s going to be very difficult for the class to follow. What is one common misconception you want to clear up about being a Naval Diver? I think a lot of people think that we’re stuck up and egoistic. They assume we think we’re better than everyone else. But honestly, we don’t actually boast about our vocation. Personally, I know that when my batch mates and I are asked what we did in NS, we’ll just answer with a plain, “Navy.” Or something along those lines. We don’t brag or tell them upfront that we were Naval Divers. We just don’t do that. How do you keep your trainees engaged? I think fun elements are quite essential. Without this factor, it’s going to get mundane and you’re going to lose motivation really quickly. For example, in NDU there was always something to keep us on our feet, like lifting boats and such. Which class that you teach here would you then say is most reminiscent of your time as a Naval Diver? I teach Bootcamp classes and there’s a military influence which I would say is the most similar to what I did in NS. The only difference is that Bootcamp is way more dialed down to make it more suitable for a commercial gym. Back in NS, they really put your will and determination to the test. The officers will keep pushing you and pushing you and trying to break you. But for Bootcamp, the idea is definitely still there. And everyone encourages and pushes each other along. All the perseverance and camaraderie factors come into play. Another class would be Triple Speed. It’s a running class that teaches you proper breathing and pacing techniques. It’s something a lot of the officers taught me in the NDU and it’s something I would like to bring to the gym rats here. Has your diet changed either before and after joining TripleFit? Well, funny you should ask. because training back in NDU was really tough, so you could actually eat whatever you wanted and still look good after that. However, I maintained the same diet but didn’t maintain the same kind of training intensity I did. A couple of months later, I realised I had put on quite a bit of weight and resolved to cut (the intake) down. What’s on your mind whenever you’re working out on your own? I’ve learned to push myself in every workout I do – and every time I think of giving up during my workout, I just think of back in the days in NDU. What are your top three favourite exercises or stretches? The first would be the front split. I actually do that every night before I sleep because it really helps to alleviate aches the next day. The second would be pull-ups. The fact that I like pull-ups so much helped me (in passing) the IPPT too. And the last would be deadlifts. TripleFit is located at 9 Raffles Boulevard, #02-63, Millenia Walk, 039596 and offers a complimentary one-class pass which the readers can book via www.triple.fit/join or by calling +65 6255-5064. Join the Facebook page here for more information.